A well built crossing is always a great focal point on any layout, but building a crossing by hand without jigs is one of the more difficult challenges in tracklaying. 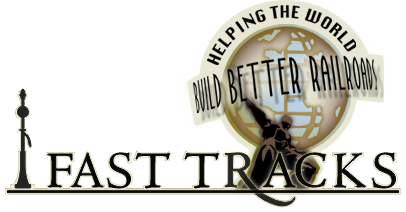 Using a Fast Tracks crossing fixture will ensure the resulting track is very precise and trouble free. Crossings have many angles, and using our filing jigs with an assembly fixture will ensure all those angles are accurate. Now you can build O code 100, 14° crossings that not only look great, but will completely eliminate track related derailments and frustration. Can Be Built Quickly - Build a crossing in a few hours! If you order a Fast Tracks assembly fixture, we highly recommend that you consider purchasing a matching PointForm filing tool. This will make the construction of the multiple frog points required for a crossing much easier. 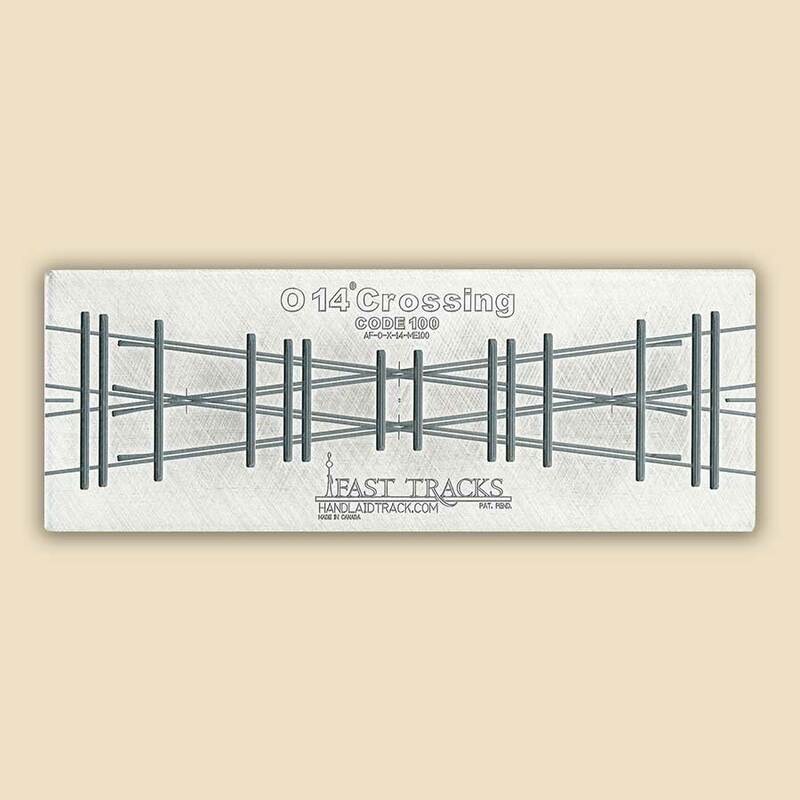 In addition to code 100 rail, you will also need to purchase matching 0.0625" (1.6mm), (7 scale inches) thick, O CopperHead PC board turnout ties manufactured by Fast Tracks. Get a head start by downloading our track building guide for crossings now. Minimum Turnout Length 14.5" (368.3mm) This is the shortest possible turnout length. Measured from the end PC board tie to end PC board tie.